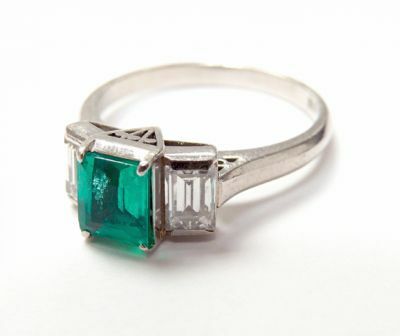 A stunning vintage platinum ring, circa 1950, featuring 1 emerald cut medium intense green emerald, est. 0.80ct and 2 straight baguette diamonds, est. 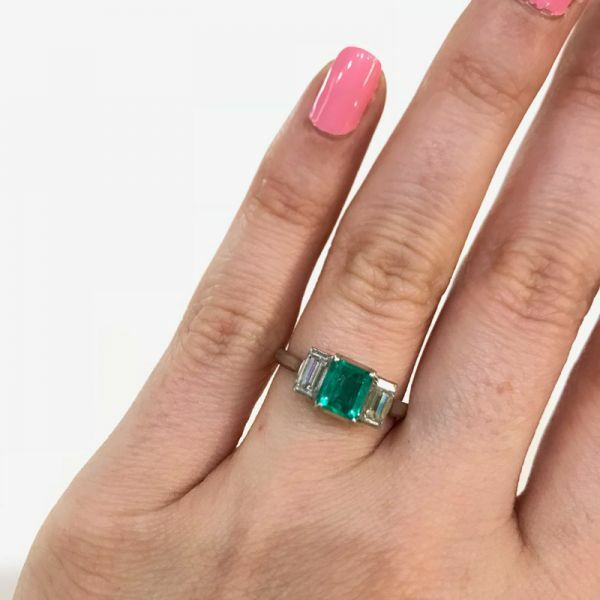 0.77ct (clarity: Vs & G-H colour).